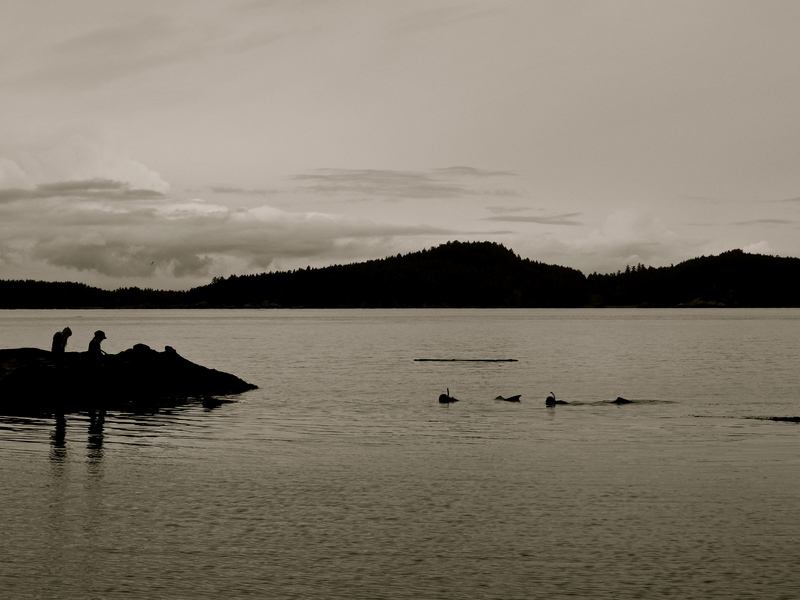 One of the only drawbacks that I have experienced from living in the Gulf Islands is that the water temperature remains, all year round, at a chilly 7 degrees celsius, making it a rather uncomfortable experience for swimming, even on the hottest day of the summer. 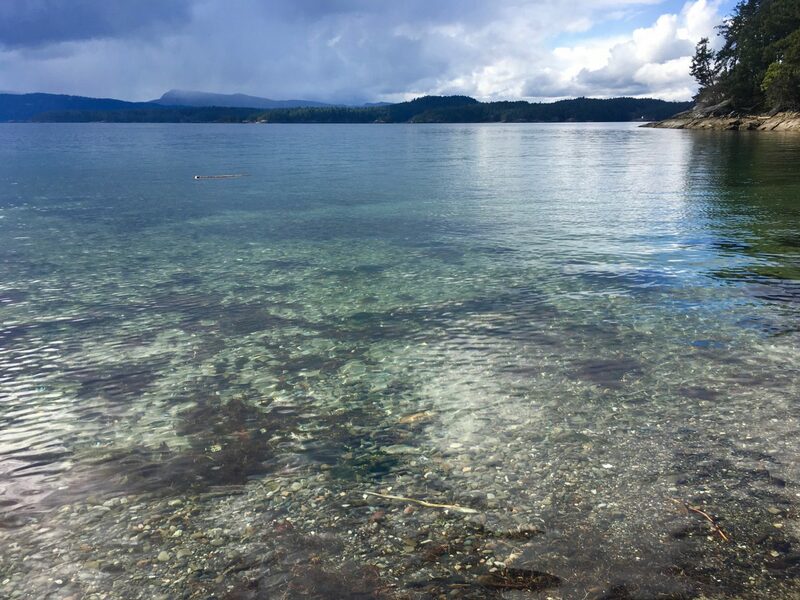 Other beaches around Vancouver Island and small islands further north enjoy warm summer swimming in areas of wide sandy beaches, but here, we have lots of rocks and cliffs that dive down deep into fast moving currents. Apparently, this boasts incredibly well for diving, providing some of the most life abundant waters thriving in the refrigerator that is our local ocean. It is a frustrating thing to live so close to the ocean and never have the chance to really get in it. 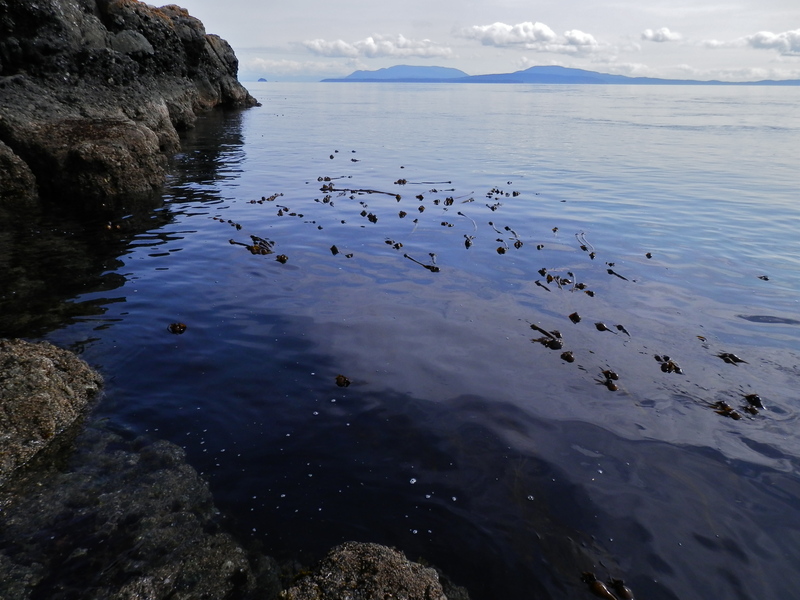 Colin and I have spent many years surfing the West Coast of Vancouver Island, so we have outfitted ourselves with cold water wetsuits for years, but it has only been recently that I realized the simple and beautiful activity of snorkeling around the many bays, inlets, islets, and cliff edges that we are surrounded with. 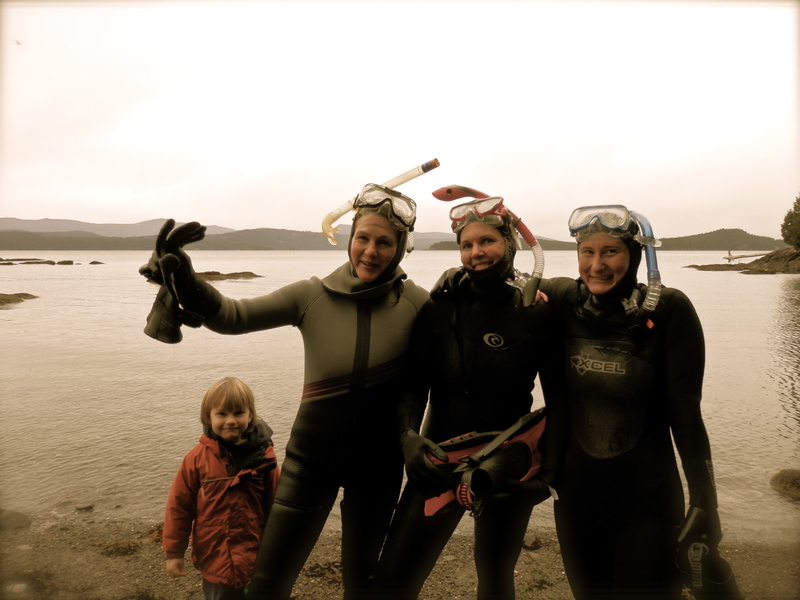 In January, I put out a call to a few friends, and we started meeting at a local bay to test out wetsuits and snorkel gear, new and old, to see what we had that works and what we need to explore further in comfort and safety. My 5mm suit with hood, and warm boots and gloves worked quite well with a new snorkel set. 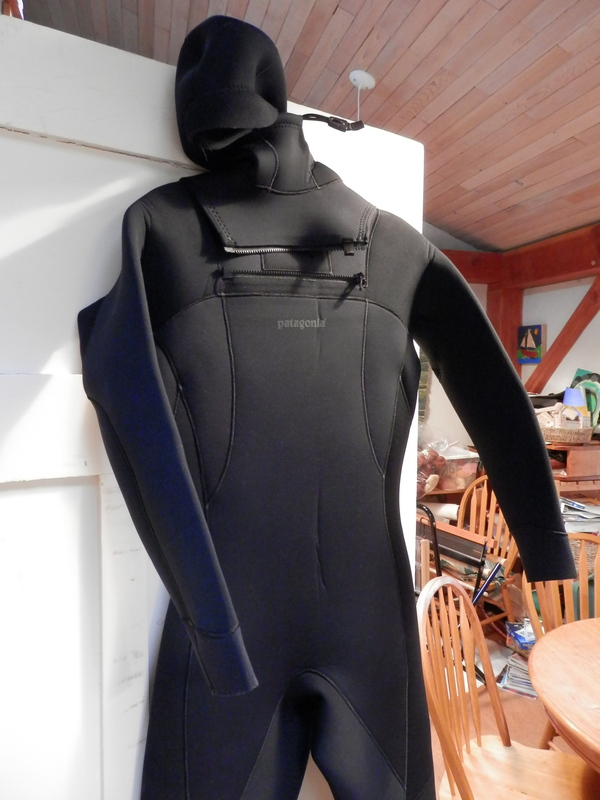 However, while searching for a suit for my daughter, who now is determined to join us in the water, I found a new zipperless Patagonia suit made with 25% merino wool on sale for half price, so I have upgraded from my 15 year old suit. I figure this will last me the rest of my water-immersed life! We have seen many beautiful things- so many different types of sea stars, anemones, a buffet of seaweeds, crabs, chitons, sea cucumbers, sea urchins, and unidentified splendor of all types. A local diver, Derek Holzapfel, has created a marine species photo database on his website that I have often referred to find out about what I am seeing and what there is to look for. It is a big learning curve from knowing nothing of what lives below the low tide line, to seeing what thrives by staying deeply submerged. Getting to swim through swaying bull kelp in sunlit waters has been a dreamy highlight, as well as skimming over shallow rocks covered in feathering barnacles, floating out over a steep drop off of turquoise greenness, then turning to face a wall of life reaching out into the passing fresh currents. Our snorkel excursions have also created a wonderful afternoon or morning of beach time for the rest of our families and friends who are not in the water. 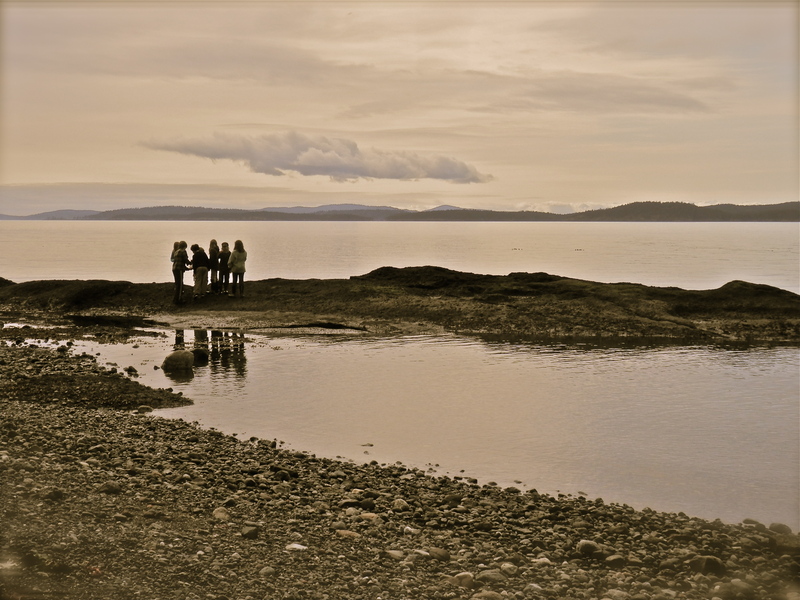 Our kids spend the time doing what they do best at the beach- exploring. They often follow us along the shore. We have taken kayaks with us so they can take turns paddling with other adults. We have often had a warming beach fire, and food and tea to enjoy. Coming out from the cold water and the underwater world seems to leave me in another state of being- slower and floaty, present and grateful, calm and joyful, out of body and entirely in body. It is difficult to finally declare the chill to be great enough to leave the water, but there is also a deep sense of returning to land as being a place of home. 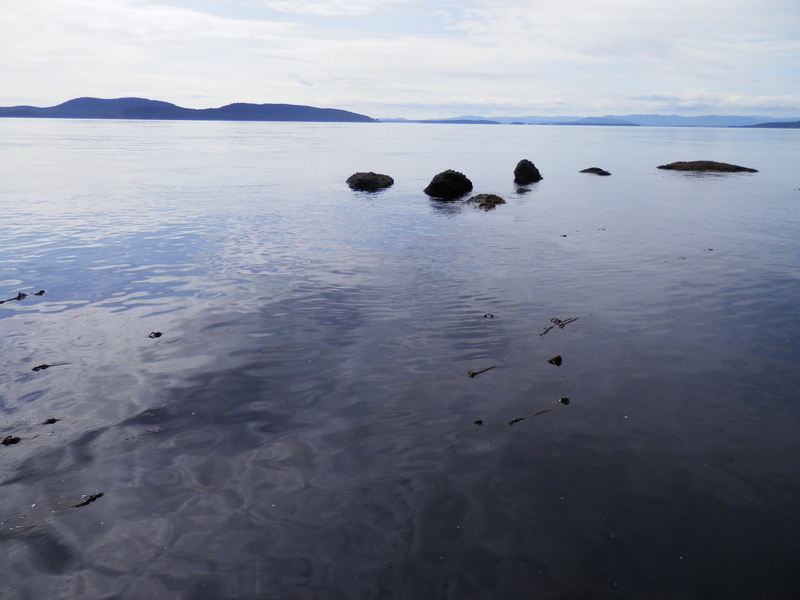 A re-start button gets pressed in my brain while I play and float and breath in the cold water, feeling the gentle push and pull of waves, and the responding push and pull of my body with that of the seaweeds- a floating meditation. what lives beneath that glassy surface? Great read, Wendi. Felt like I was right there.